With the general public becoming increasingly aware of environmental issues like global warming and pollution, it should come as no surprise that environmentally friendly means of transportation and living are now extremely popular. One of the eco-friendly means of transport that have flooded the market in recent years are electric scooters. Suitable for teens and adults alike, electric scooters are ideal for people who want an extra degree of portability, speed, and flexibility in traffic. If you are interested in purchasing an electric scooter but have no idea what to look for, our small list might help you make a decision. Here are the three best electric scooters for easy transportation in 2018. Speed and range. Most electric scooters can achieve greater speeds than regular bikes – more precisely, 18 miles per hour, as opposed to 10 miles per hour. However, in most cases, you will be riding the scooter on bike lanes and steep sidewalks filled with pedestrians, so speed should not be the main criteria when making a decision. Wheels and suspension. Consider your daily routes (to work, to your kid’s school, etc.) and the quality of the pavement. This part is vital as you should choose the best wheels and suspension for this factor. For instance, if the road surface is uneven and rocky then you need pneumatic tires. If the terrain is even and smooth, you can make do with small rubber wheels. Battery. Here, you will have to choose between acid batteries and lithium batteries. The former takes a longer time to charge (12 hours for about an hour’s worth of battery life), while the latter can be charged in as little as four hours. If you want to use the scooter for small daily chores (grocery shopping and the like), you should be totally fine with an acid battery. However, if you are getting the scooter for commuting purposes, a lithium battery is the more sensible choice. Capacity. As sturdy as it might be, an electric scooter cannot carry too much weight without collapsing upon itself. While a specific subset of scooters can handle as much as 150 pounds or 70 kilograms, it is better to check your body weight (sorry), and then get a scooter capable of carrying at least 10 to 20 pounds (5-10 kg) over that. Price. This factor will depend on what exactly you want to use the scooter for. For around $300 USD / £230 GBP, you will get a decent vehicle good for running errands and enjoying some fun evenings in the park. However, if you want to replace your car with a scooter as much as possible, you will have to drop much more money than that. Ultimately, the best electric scooter for you largely depends on what you are planning to use it for – commuting or leisure. If you want to replace your car with an electric scooter to commute to work, then you might have to spend at least a thousand dollars. 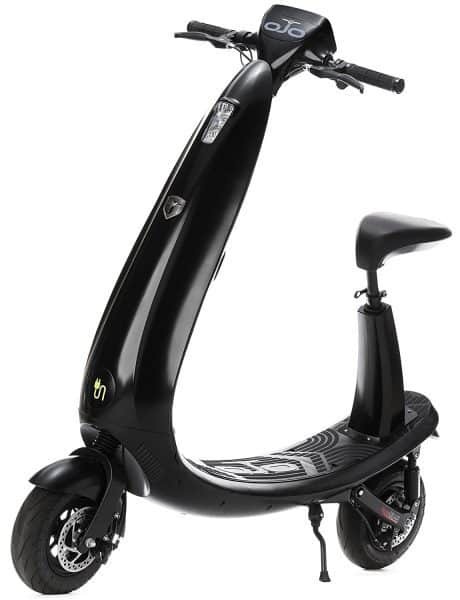 If you want a scooter just for leisure, then there is no reason to spend more than $500 / £400 on one. Nevertheless, the three scoters highlighted in this article can satisfy all needs, so make sure to check them out. Now that we have covered the main features you should look for, let us take a look at three models that we have handpicked for you. A budget entry level scooter for those experimenting with alternative transport. Top end commuter scooter which could replace your car. A mid-range scooter, which is a viable commuter tool. A cheap and cheerful scooter, this Razor model offers a great riding experience, despite its low price. It is made of top-notch materials that ensure comfort, safety, and versatility. 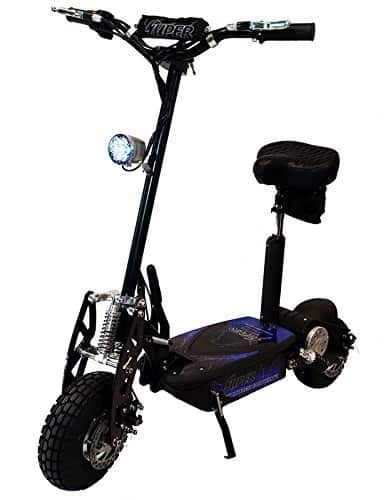 With a generously sized frame and deck, this scooter can be easily ridden by both adult and teen riders. Furthermore, thanks to its pneumatic tires, you will have no issues moving across rocky and uneven surfaces. With a fully charged battery, it can achieve speeds of up to 15 miles per hour, which is more than enough for casual riding. Razor E300S also features a comfortable padded seat, which can be retracted if you prefer riding in an upright position. The scooter’s soft rubber grips and hand-operated rear brakes add to the level of comfort and safety. However, the model runs on an acid battery, so it is not suitable for commuting or traveling over long distances. So, if you are looking for something that will get you to and back from work, you might want to look at other options. Nevertheless, the Razor E300S offers a lot for its low price. Ojo, a relative newcomer to the electric scooter world, designed this model from the ground up to accommodate commuters who want to ditch their cars in favor of something more environmentally friendly. This is a quiet, nonintrusive vehicle that does not require any license and registration to drive. Furthermore, if you want to avoid the hustle and bustle of rush-hour traffic, this scooter can be safely driven on bike lanes. The ergonomic design of the Ojo ensures safe and comfortable travel on long distances (25 miles on a full charge). The steering is controlled by handlebars, and its curves allow drivers to take smooth turns without endangering cars or pedestrians. Other than that, there is nothing more to say about this scooter. While some people might disagree with the high price, since the scooter can serve as a viable car replacement for commutes, it is an investment worth making. If you are looking for something between the Ojo Commuter Scooter and the Razor E300S in terms of quality and performance, this model is the ideal compromise. The Super Turbo Elite 1000 is actually an upgraded version of the 800 Elite model. For the 1000 Elite, producers have redesigned the motor to support 1000 W and revamped the sprockets and chain into a heavy-duty version for off-road driving and rocky or uneven surfaces. In other words, unlike its older brother, the 800 Elite, the 1000 version comes with a sturdier chain that will not fall off after a few bumps. 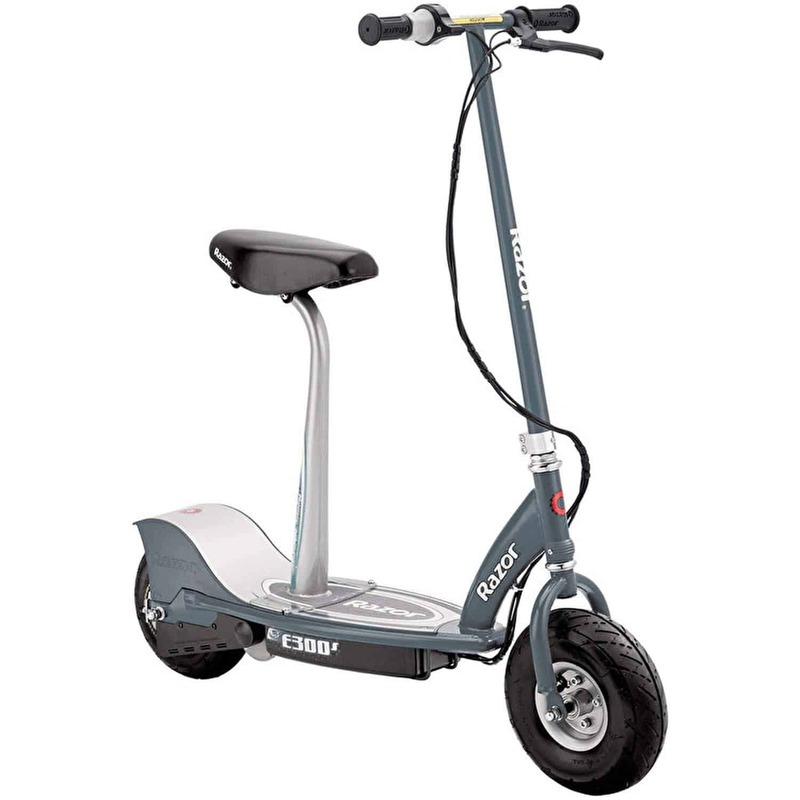 The quality of the body is also improved, so you can rest assured that this scooter can take several bumps without falling apart. While not ideal for commutes longer than 10 miles because of its acid battery, it has a longer battery life than most scooters within this price range. Costing about half as much as the Ojo Commuter, the Super Turbo Elite 1000 offers exactly what you would expect from a mid-range scooter – safety, comfort, a guaranteed speed of 32 mph in just 12 seconds, and a sturdy body. If you are not willing to drop a grand on a scooter, but you won’t buy something cheap either, the Turbo Elite 1000 is one of the best mid-range two-wheeled vehicles on the market.